In Intermediate Physics for Medicine and Biology, Russ Hobbie and I recommend the book The Machinery of Life by David Goodsell. 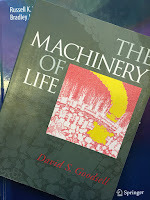 I have mentioned Goodsell several times in this blog (see, for example, here and here). Today, I’ll tell you more about him, and show you some of his artwork (at his website, he has a few illustrations available for use on the internet). For instance, Russ and I discuss the bacterium E. coli several times in IPMB. 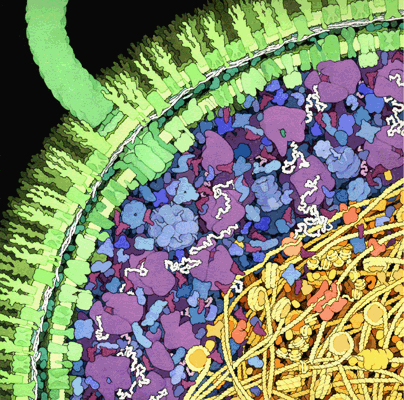 Below is Goodsell’s illustration of it. 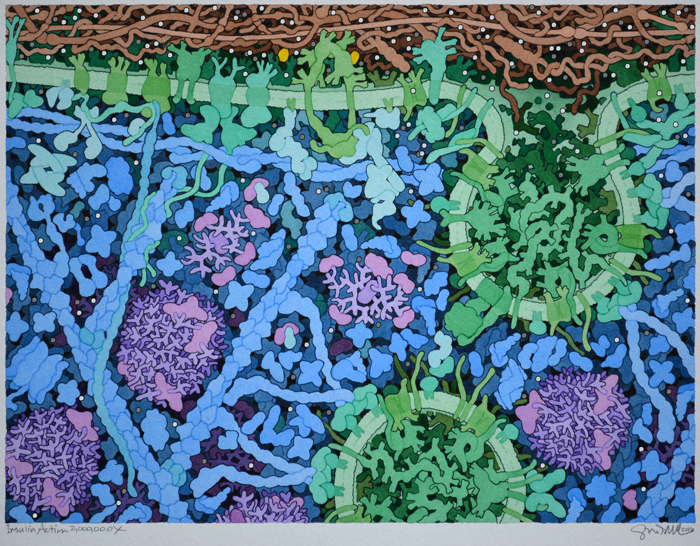 E. coli, by David Goodsell. 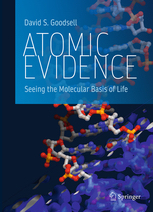 In this book, I will take an evidence-based approach to current knowledge about the structure of biomolecules and their place in our lives, inviting us to explore how we know what we know and how current gaps in knowledge may influence our individual approach to the information. 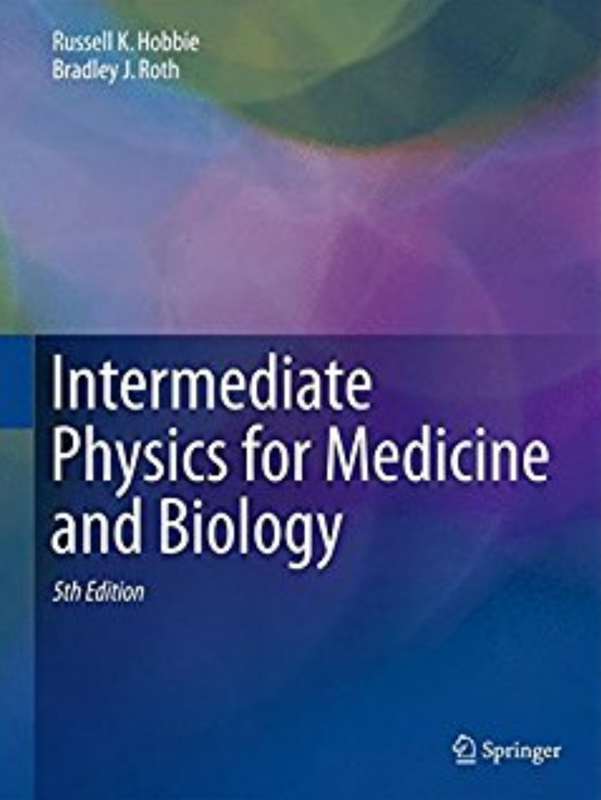 The book is separated into a series of short essays that present some of the foundational concepts of biomolecular science, with many examples of the molecules that perform the basic functions of life. In particular, I recommend his pictures of insulin in action (his Fig. 16.1), of a nerve synapse (Fig. 19.10), and of a poliovirus neutralized by antibodies (Fig. 21.1). 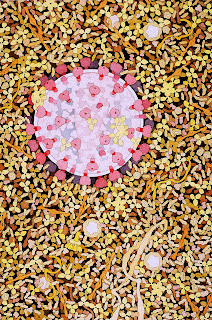 His series of illustrations of human immunodeficiency virus are stunning. Below is a picture of HIV (boooo!) in blood; the red y-shaped things attacking its surface are antibodies (yay!!!). 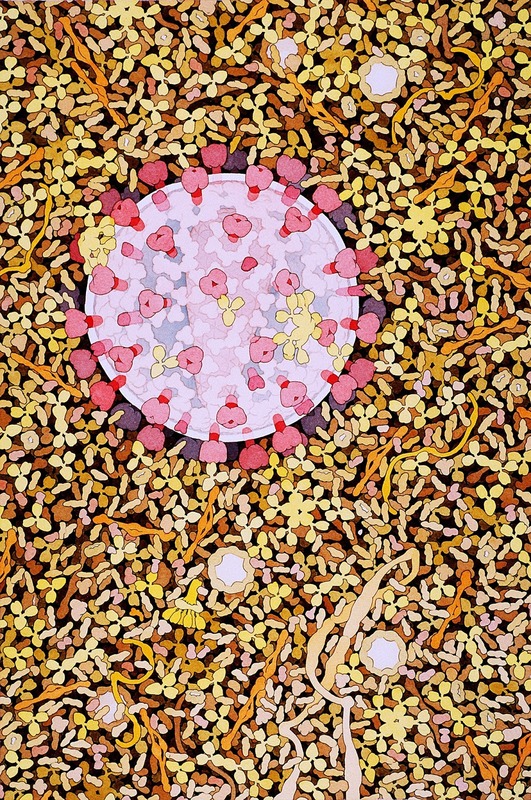 HIV attacked by antibodies, by David Goodsell. Often IPMB mentions red blood cells. 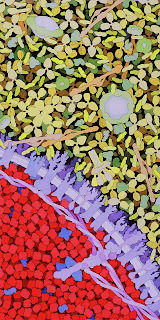 Below is Goodsell's illustration of part of a red blood cell (bottom left, red) in blood. There’s a lot more stuff floating in the blood than I expected. 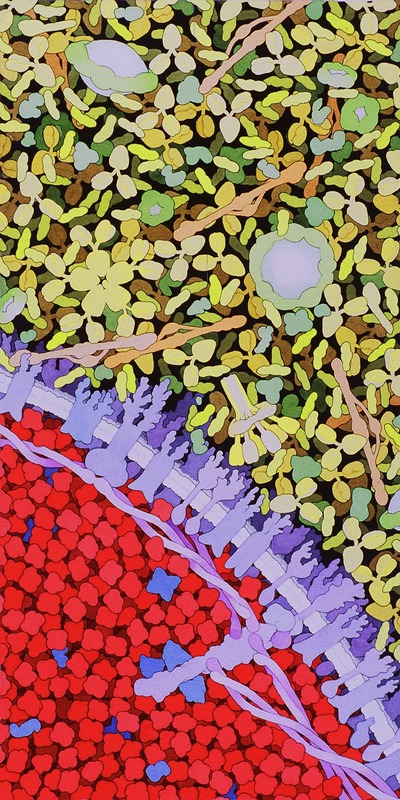 A red blood cell, by David Goodsell. 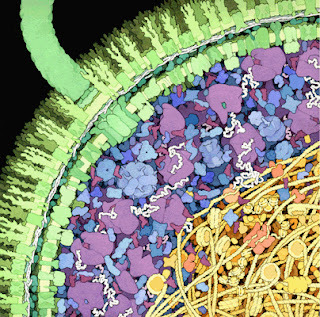 If you want to learn more about David Goodsell, I recommend these two videos, where you can hear him describe how he creates his lovely artwork.